The troll sightings took place along I 99 in Bedford County Pennsylvania in the summer of 1986. A rather portly troll approximately 33 years old and rumored to weigh over 175 lbs was spotted (as expected) waiting patiently under a bridge that carried I 99 over state route 869 near the vicinity of the little hamlet known as St. Clairsville. In spite of the fact that this sighting took place along an interstate highway, very few people actually witnessed the super sprite sitting in the shade of the overpass on that hot and humid summer day. I know for sure the sighting was accurate however, because I am that troll. As was the tradition during the Fourth of July weekend, I began jogging the 32 mile trek along 869, heading west toward the town where my wife and I grew up. 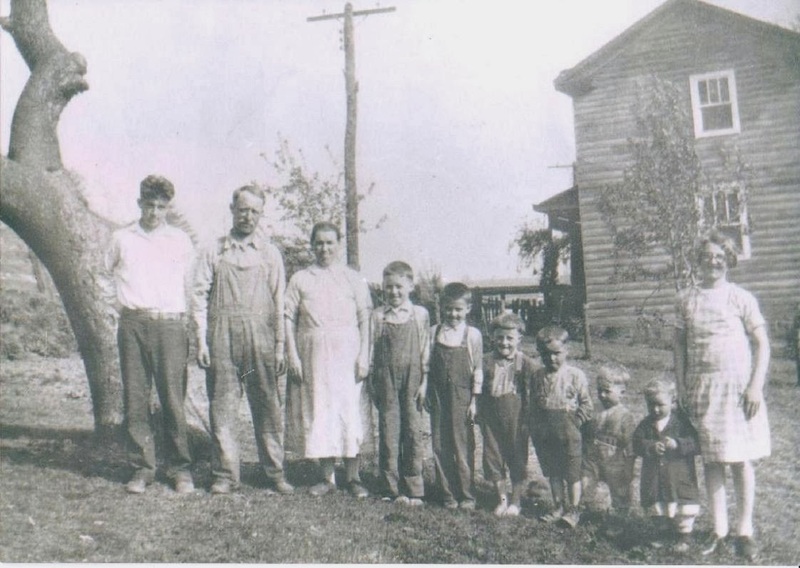 With an hour and a half head start, my goal was to run as far as I could, and then when I tired, I'd wait along the road in the shade for the rest of my family to pick me up and take me the remainder of the way to the town of Beaverdale. The car was already packed with my towel, shower items, and a clean change of clothes. I have to add that I never came remotely close to completing the run. If I was in super-shape, I might go 10-12 miles before my wife and kids would locate me along the road. Remember, a marathon is a little over 26 miles long - this was a 32 mile journey and over what the locals call Brumbaugh Mountain; a very steep and long peak located about four miles from the start of my run. The mount was an additional 3 miles up one side and down the other. I was not in the best shape of my life and the weather conditions were particularly poor for running but I started out anyway, in the early part of the afternoon. After all it was a tradition, and I wanted to test my body and see how it held up to the ravages of time. I had gone about seven miles, which was (in my wife's defense) well under the distance where she was expecting to locate me. I decided to quit early and look for a place in the shade and wait for my ride. Well, they appeared and right on time. The three kids were sitting in the back seat of the Chevy Blazer, perched up high with my wife at the helm in the driver's seat. The plan was coming together as arranged, just as it did four or five other summers prior to this one. However, as I struggled to my feet, I watched in disbelief as the Blazer carrying my family showed no signs of stopping. There they went, continuing west with my two daughters and my wife staring straight ahead as if they were on guard for terrorists or watching for children playing in the middle of the road. I didn't begin to worry though, because my son, less than three years old at the time, spotted me as they drove by. I saw his eyes open wide he pointed right toward me, and I could see that he was announcing to the three dingus girls that he proudly spotted his dad. I later learned that he did indeed shout to his mother, "There's dad over there under the bwidge." He couldn't quite pronounce his r's yet, but his effort was valiant. "No, that's not daddy," my wife replied, thinking that my son spotted me in a vehicle going the opposite way. But my son was persistent, and I saw his head turn toward me again, still pointing and still adamant that he did indeed see his dad. "Any second now," I said to myself. "They'll turn around at that stop sign, and pick me up and take me to my in-laws' home, where I can take a shower and get out of these sweaty clothes." Much to my surprise the vehicle kept on going, and not one female aboard so much as flinched. They must be singing along to a song on the radio, I thought. If they were listening to My Heart's Inspiration by the Righteous Brothers I knew I was in trouble. My wife had a habit of blasting that song at decibel levels that would drown out a Boeing 747. At that time, I didn't even know yet if any of them heard my son and his proclamation about finding Dad. I kept walking and traveled about four miles further, all the while wondering, "Surely she has gone far enough to realize that she must have passed me up." "At any time now, I'll see her coming back to me, happy to discover that I'm ok," I continued to try to convince myself. And I walked on. When my wife and the ding bat daughters completed the 32 mile long voyage and parked at her parents' property, she asked with surprise, "Oh, isn't Dave HERE?!" And of course they replied, "No!" Remember, it was 32 miles away from our home - 32 miles! My wife's father was a former track and cross-country coach. Her brother, her sister and her husband were all head varsity track coaches too. Wouldn't one think that running that far, in world record time, in those conditions might not be very likely? My wife dropped the kids off to stay with grandma, and then with a sudden burst of insight asked her dad to come along with her, and backtrack to see if they could locate me. Her improvement in intellect was as much out of fear of finding me angry as it was for fear of finding me dead, I believe. In any event, her scheme worked. She finally located the red-faced, sweat ridden, teeth-gnashing, giant gnome, about 12 miles from our home, or about 20 miles away from the original destination. And, I couldn't unload on her at all. Her dad saw to that. There are not as many tales of trolls today as there used to be it seems. If you find yourself spinning such a yarn for your children or grandkids, please be honest with them and do let them know that it is true that there was an angry old troll at one time and he was waiting for kids while sitting under a bridge. But then remind them that today he's 60 years old, no longer waits under bridges, is totally harmless and he laughs a lot.